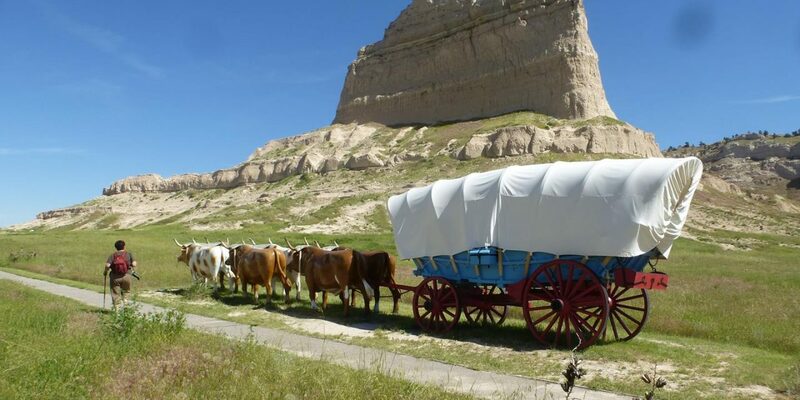 Enjoying more comforts than a covered wagon could ever provide, travelers cruising Nebraska’s roadways today find it hard to imagine the harrowing cross-country journeys that yesteryear’s settlers endured. But a number of attractions shed light on the trials and triumphs associated with America’s westward expansion and life on the frontier. Following the Oregon, California and Mormon trails, tour itineraries trace the paths of the explorers, pioneers, trappers and cowboys who braved the wide-open spaces and uncharted territory of the Great Plains. 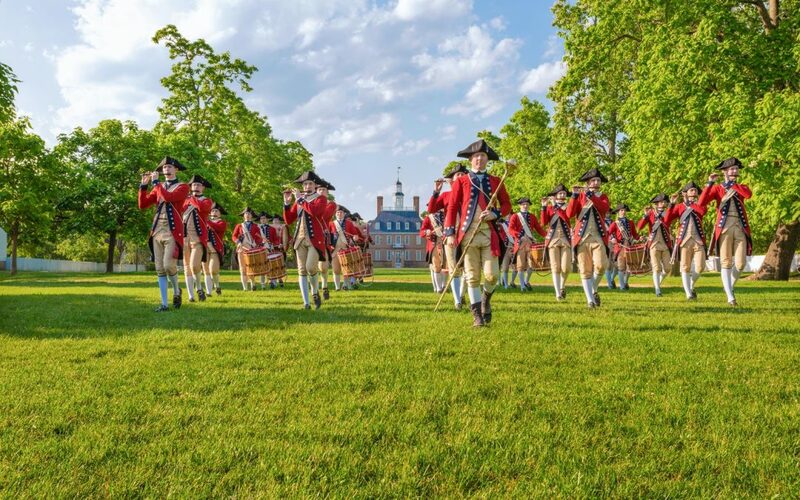 Museums and historical sites make it all come alive. 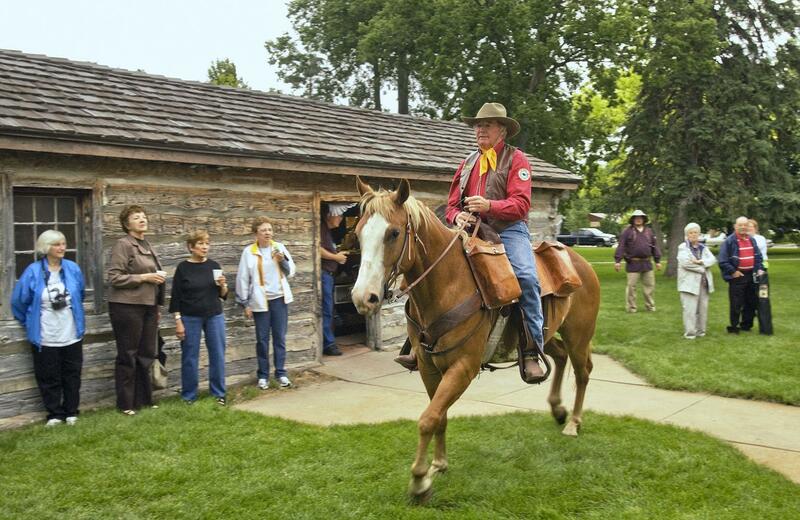 The Mormon Trail entered the state at Omaha, and the story of the great migration of Latter-day Saints who came to the area between 1846 and 1860 is told at the Mormon Trail Center at Historic Winter Quarters. The temporary settlement was a stopping place for persecuted Mormons who had left Nauvoo, Illinois and were heading to the Salt Lake Valley in Utah. Brigham Young and other church leaders spent time at Winter Quarters, once the church’s headquarters. The center’s museum has interactive exhibits, plus a log cabin, covered wagon and handcart. (Migrating Mormons who could not afford full ox and horse teams used handcarts to carry their belongings on the trek west.) Next to the trail center is the Mormon Pioneer Cemetery. The settlement’s best-known chapter revolves around the Saints’ suffering and death from cold and illness during their first winter in Nebraska (1846-47). 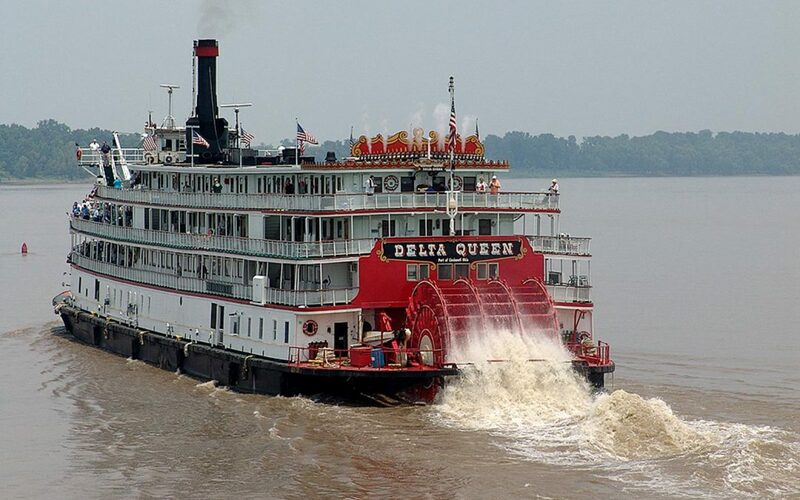 Famed explorers Meriwether Lewis and William Clark also passed through Omaha and held council with Indian chiefs in this part of the middle Missouri River. The Lewis and Clark National Historic Trail Visitor Center commemorates their expedition. The Durham Museum, a staple on Omaha itineraries, follows the city’s development from the mid-1800s to the 1950s. Affiliated with the Smithsonian Institution, it is housed in the 1931 Union Station, an Art Deco landmark. Among the many group-friendly attractions in Lincoln, an hour west of Omaha, is the Nebraska History Museum. 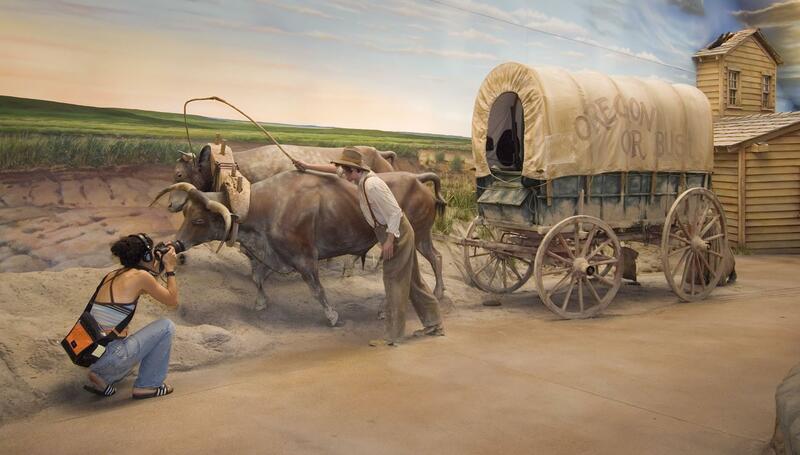 Three floors of exhibits detail Nebraska’s story from prehistoric days to the present, with several displays spotlighting pioneer life and Indian tribes. See reproductions of a Pawnee Indian earth lodge and settler’s sod house. Also in Lincoln, the University of Nebraska’s Great Plains Art Museum features Western and Native American art consisting of bronze sculptures, paintings, drawing and photographs. Key artists in the collection include Albert Bierstadt, Charles M. Russell and Frederic Remington. In Beatrice, not far from Lincoln, the Homestead National Monument of America illuminates the Homestead Act of 1862, which enticed millions of people to move to the frontier and obtain plots of land. 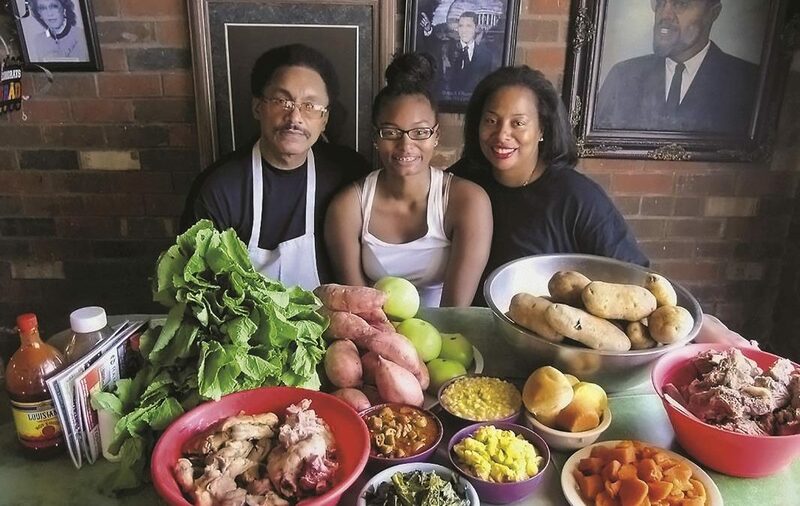 The Homestead Heritage Center offers an orientation film and a museum that looks at homesteader life. Nearby is an original cabin furnished with pioneer artifacts. A trail traverses restored tallgrass prairie, where, in late summer, grasses reach nine feet high, giving visitors a sense of the Great Plains as the settlers saw them. In Wymore, a particular group of European emigrants are remembered at the Great Plains Welsh Heritage and Culture Center Museum. 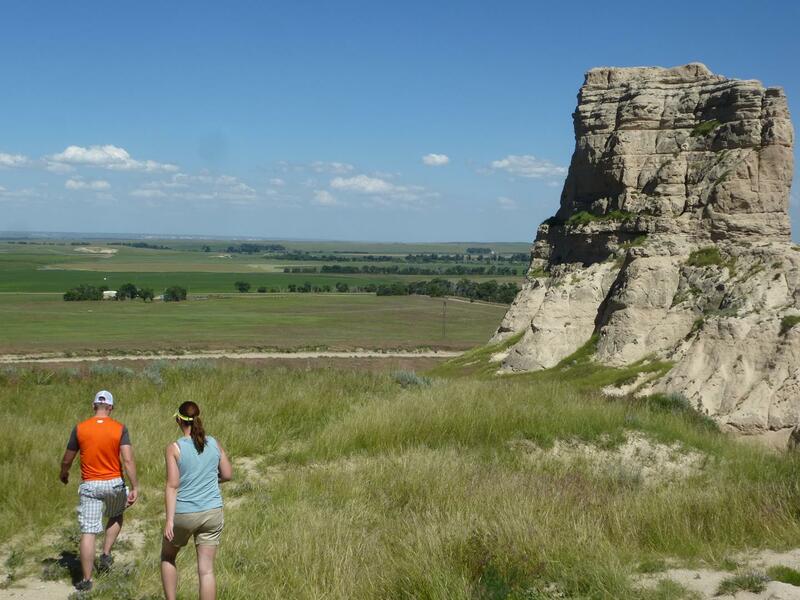 In Fairbury, a short drive west, your tour connects with the Oregon Trail, which entered Nebraska not far from here. Rock Creek Station State Historical Park is one of the best sites for viewing original wagon ruts from the Oregon and California trails. It’s also where Wild Bill Hickok gained notoriety for killing his first victims. Red Cloud was home to Pulitzer Prizewinning author Willa Cather, famed for her novels of life on the Great Plains. Several buildings important to her life and books, including her childhood home, make up Willa Cather State Historic Site. Costumed interpreters bring the old days back to life at Stuhr Museum of the Prairie Pioneer in Grand Island, one of the Midwest’s premier living history museums. 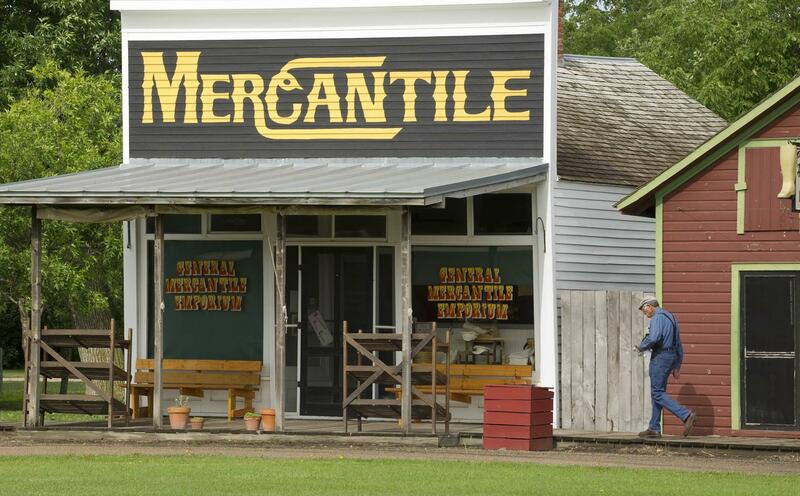 Covering much of the 200-acre complex is the 1890s Railroad Town, a collection of historical buildings bustling in summer with people demonstrating trades and conducting business. You can tour homes, barns, a rural school and church, and Pawnee Indian earth lodge. See a multi-media presentation and exhibits on Nebraska history (1860-1920) in the Stuhr Building, designed by noted architect Edward Durrell Stone. The Fonner Rotunda has Old West and Native American relics. Harold Warp Pioneer Village in Minden, a treasure chest of Americana, displays more than 50,000 antique treasures in 26 buildings, including a frontier fort, replica sod house, 1872 railway depot, 1884 church, blacksmith shop, reconstructed Pony Express barn and general store stocked with 19th century merchandise. Craftsmen demonstrate weaving and broom making. At The Archway, an eight-story museum that spans Interstate 80 in Kearney, a selfguided audio tour follows the pioneer trails, highways and transcontinental railroad that opened up the West. It focuses on the path along the Platte River, once called the Great Platte River Road, which attracted adventurers to the untamed West. The Archway offers groups a number of catering options, including a chuck wagonstyle barbecue and a variety of buffet choices. Also in Kearney, Fort Kearny State Historical Park looks at life on the Oregon Trail, featuring a replica stockade and reconstructed blacksmith shop. From Kearney, head west on I-80, following the Oregon and Mormon trails to Gothenburg, where an original Pony Express Station chronicles the brief experiment in long-distance mail delivery by horseback. Few figures personify the frontier spirit more than William F. “Buffalo Bill” Cody, the famous showman, Army scout and buffalo hunter. Cody’s legacy survives in North Platte at Buffalo Bill Ranch State Historical Park, which sits on the site of his Scout’s Rest Ranch. 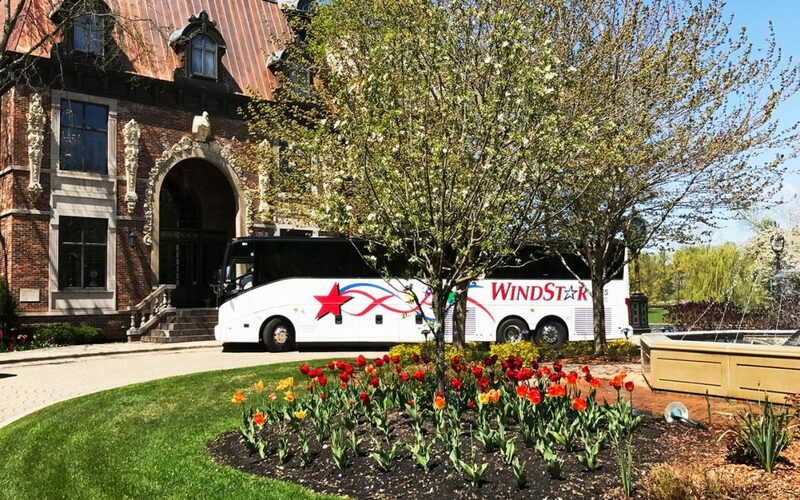 Actors playing Cody and his wife will show your group the elegant Victorian mansion, and you can view memorabilia from Buffalo Bill’s Wild West Show in the huge barn. At North Platte’s Fort Cody Trading Post, the state’s largest souvenir shop, explore the Old West Museum in back and don’t miss the 20,000-piece, hand-carved, animated miniature version of the Wild West Show. Farther west on I-80, Ogallala, the end of the Texas cattle trail drives from 18751885, is billed as the “Cowboy Capital” of Nebraska. Your group can relive this riproaring era at Front Street and Cowboy Museum, with its saloon, steakhouse and Western stage show. In Nebraska’s Panhandle region, the prairie starts to give way to a more dramatic landscape, one that matches our visions of what the American West should look like. Points of interest include unusual rock formations that served as landmarks for the pioneers who crossed the continent in creaking wooden prairie schooners on the Oregon, Mormon and California trails. The natural phenomenon that pioneers most often mentioned in their journals—Chimney Rock—is a tall spire rising out of a dome-like outcropping. They could see it two days before, from 37 miles away. Many carved their initials on the rock. 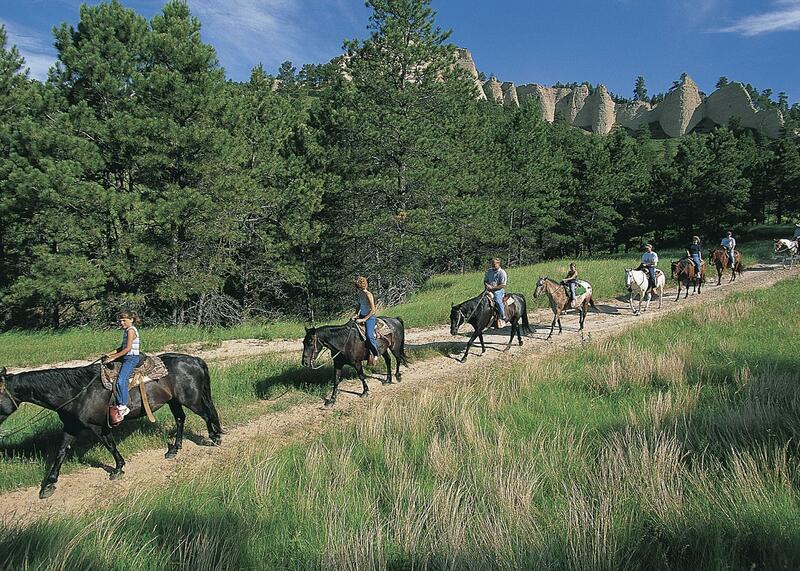 The interpretive center at Chimney Rock National Historic Site near Bayard is operated by the Nebraska State Historical Society and pays tribute to those who traveled the trails. 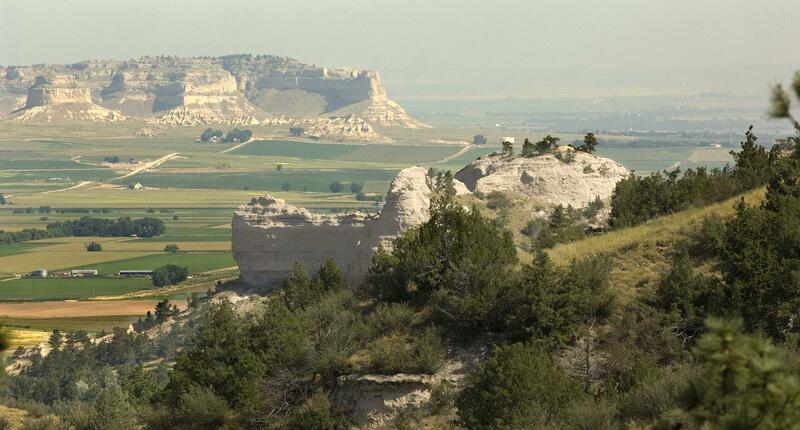 Closer to the Wyoming border, Scotts Bluff National Monument, 23 miles from Chimney Rock, preserves an escarpment of wind-sculpted buttes that rises 800 feet above the Platte River Valley. Pioneers were impressed at the sight of the fortress-like rock and were grateful that a third of the trail lay behind them. From the summit, reachable by car and bus, views stretch 100 miles. The visitor center at the foot of Scotts Bluff hosts outdoor living history interpreters on summer weekends and has indoor exhibits that describe the hardships endured on the trek west. Legacy of the Plains Museum in Gering, sitting on 100 acres with Scotts Bluff as a backdrop, focuses on pioneer life and rural development. Fort Robinson State Park, occupying the grounds of a frontier military bastion in the state’s northwest corner, has 22 lodge rooms in a former barrack and more accommodations in cottages and stately Fort Robinson State Park, occupying the grounds of a frontier military bastion in the state’s northwest corner, has 22 lodge rooms in a former barrack and more accommodations in cottages and stately homes that once served as officer’s quarters. Activities include horseback trail rides, wagon and stagecoach rides, and open-air jeep rides for spotting mountain sheep. Museums showcase area geology and the fort’s history as a cavalry post and equestrian center. Museum of the Fur Trade in Chadron spotlights not only the mountain men, buffalo hunters and Indians of the West but also French trappers and others who roamed the wilderness in the Eastern U.S. and Canada. On display are beaver hats, a buffalo robe and 18th century buckskin breeches, along with canoes, skinning and butcher knives, firearms and an 1809 beaver trap. The saga of the Old West lives on in Nebraska, not far from the stream of cars, trucks and tour buses whizzing down Interstate 80.